Give hands-on knowledge of the food goups with these life-size examples. From the 10" L. fish to a 1 ½" Diam. 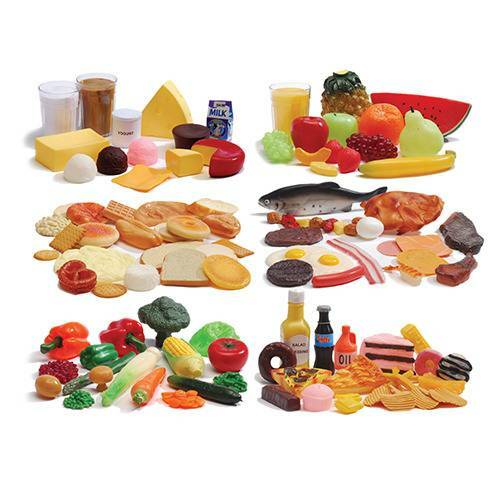 cracker, the plastic and vinyl foods add realism to pretend play. 111 pc. Set. Ages 3 yrs. +.